14. 5. Maps and routes in Route Gadget: long distance, middle distance. 13. 5. Races are over. Thank you all for your participation. Here you can find results. We hope you enjoyed the Železné hory terrains and you will visit again race organizing by OK Lokomotiva Pardubice (maybe this year's holiday 3-days events Cena východních Čech (East Bohemian Cup)). 7. 5. We have published course parameters, start lists and center plan. 3. 5. In section accomodation were added maps of accomodation places. 2. 5. On Saturday long distance is more than 1100 registered competitors, on Sunday middle only a little less. Any late entries are available only by e-mail to lpu@vco-ob.cz. Ordered accomodation you can check here. 27. 4. In the center will be available a map sample, which you can use on the way to Saturday and Sunday start. View map is in the section Map and terrain samples. 25. 4. Detail information (guidelines) for participants issued, you can find it in the appropriate section. 11. 4. 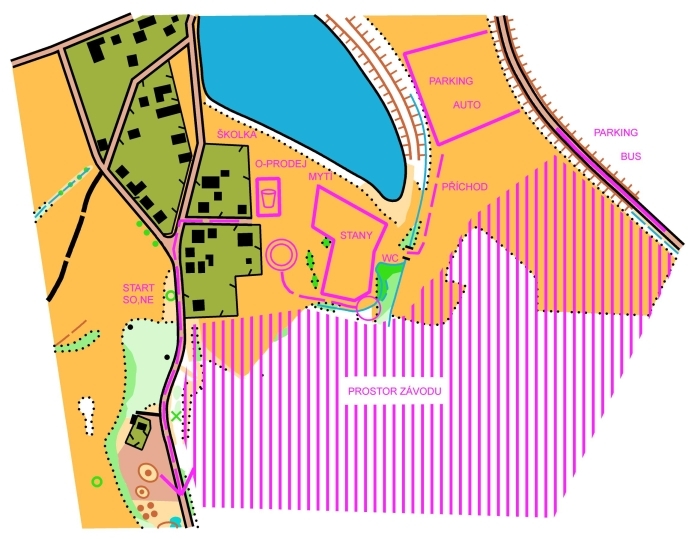 Cartographers (Petr Marecek and Martin Kratochvil) have completed their work, the maps are prepared for both races. Sample maps are in the appropriate section. 27. 2. The website of the Czech cup, A cup and B cup Bohemia were created. The competitions are prepared by OK Lokomotiva Pardubice near town of Nasavrky. You can check the competitions general information, accomodation information, old map of the competition area and new map samples. We are looking forward to your application.